About eleven years ago I was faced with the decision to stay in Florida or go back to Michigan for school. I spent quite a bit of time weighing the options of both sides. I believed God was calling me into full-time ministry, but was scared to death to tell God yes to spending my entire life serving Him. I did not know many people at all in Florida, did not have a job, and was not sure of what my future held. If I went back to Michigan – I would be in the comfort of my friends. I was in the process of getting my Political Science degree and looking to a bright future full of Law and Politics – I wanted the fame, the money, the popularity, etc. But I was missing one thing… What did God want for my life? What were His plans? 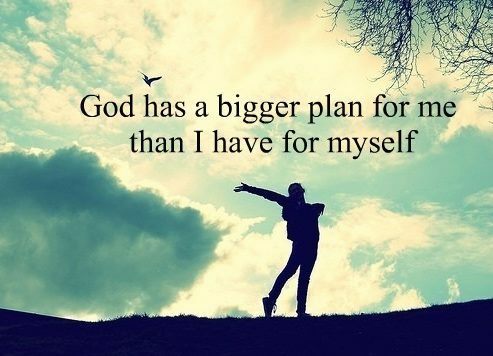 I had to humbly realize that God’s plans were far greater than my own! Many have walked away from the straight and narrow path God in place. We have fallen into the temptations that Satan uses to so easily pull us down. We live in an extremely crooked world, and so often it is easy to fall into those crooked traps. So, how do we realize God’s plan A for our lives? How can we walk upright in such a crooked and fallen world? I want to share 4 steps to Walking Upright in a Fallen World right and out of this I believe we will discover God’s plan A for our lives. It is God’s Word that will truly inspire us to live out our God-given purpose. It comforts us in time of hurt. It fills us wisdom when we seem to be empty. We don’t just owe ten minutes a day to God’s Word – we owe our lives to it. It gives us our purpose for life. Too often we focus on our physical needs – through our prayers, our relationships, and the way we use what God has given us and we miss the spiritual needs and desires God has placed before us. Third, we are called to avoid reckless situations. Christ did not give in to Satan, and He did not allow him to continue. He sent him on his way and told him he had no authority to do what he was doing. How often have you found yourself in circumstances you should not even be near? How easy is it for the friends you have to tear you down and lead you down the path of destruction? Do you put yourself in situations where the temptation is even there to sin? What are you doing in your own life to keep from reckless situations of sin? We must do whatever it takes to keep on the straight and narrow path God has set before us…avoiding disastrous situations. Finally, don’t compromise your principles, values, or beliefs! Christ did not even for a second think about faltering away from His trust in God the Father. Take a look at the life of Daniel – he was thrown into the lion’s den, had death staring at him in the eyes – yet he never once wavered on his values and beliefs. Daniel continued praying to the God of this universe, even after a decree had been made to not worship anything or anybody but King Darius. In Daniel 6:10-28 we see how Daniel’s unfaltering belief and trust in God saved him from the mouth of the lions. We cannot falter our way through life – we must keep our feet solidly planted on the Word of God and in a relationship with Jesus Christ! Allow God to take you places you could never imagine! Are you ready for the journey? Are you ready to live out the plan God has for you? Do not avoid what God is calling you to! Be willing and ready for God to use you to fulfill His purpose!